DisneyDreamer would like to recommend a place to buy serious Disney collectibles. Our friend Phil Sears has a large collection of authentic collectibles at any given time, we have made several purchases over the years and we are very excited about the Walt Disney Autograph collection that Mr. Sears offers. 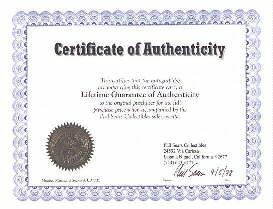 It is very hard to purchase authentic collectibles especially when it comes to Autographs- there are so many fakes that you really have to be careful. With over 17 years in the business, Phil Sears Collectibles has an outstanding money back guarantee, open honest shipping cost schedule and a stellar customer service record. It is always a pleasure from beginning to end to make a purchase from Mr. Sears. A layaway plan is even offered! Top quality items at a fair price. 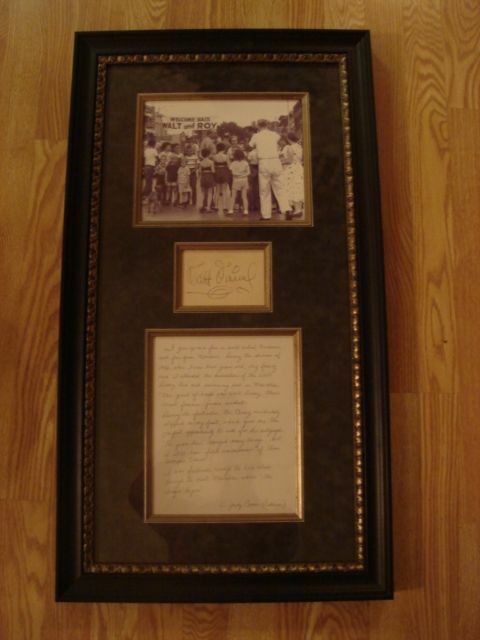 This is an original Walt Disney autograph obtained at the Dedication of the Walt Disney Swimming Pool in Walt’s Hometown of Marceline Missouri in 1956. Walt stepped on a young girls foot and reciprocated by signing an autograph for her on the spot, the letter you see is her account of the incident.